- So serene and lovely! This Celtic Christmas Angel pattern is a perfect project to start for the holidays, and one that will be treasured for years to come once it is completed. 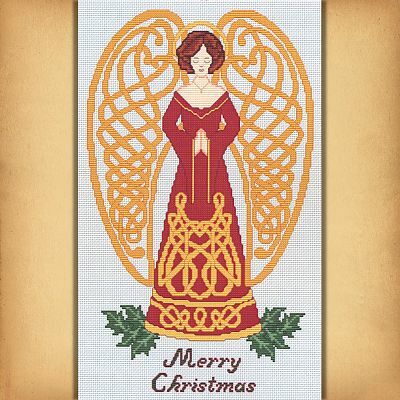 This design measures 120 stitches wide and 203 stitches tall. This is a pattern for counted cross stitch. It is not a complete kit. You must provide your own fabric and floss. 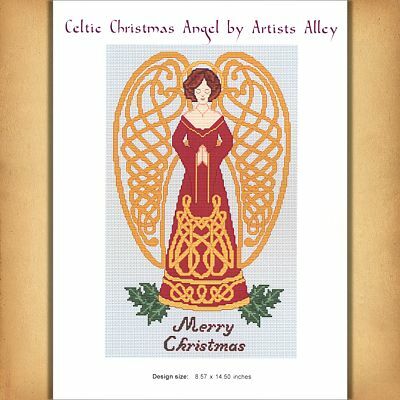 Do you have any other questions about our Celtic Christmas Angel Cross Stitch Pattern?